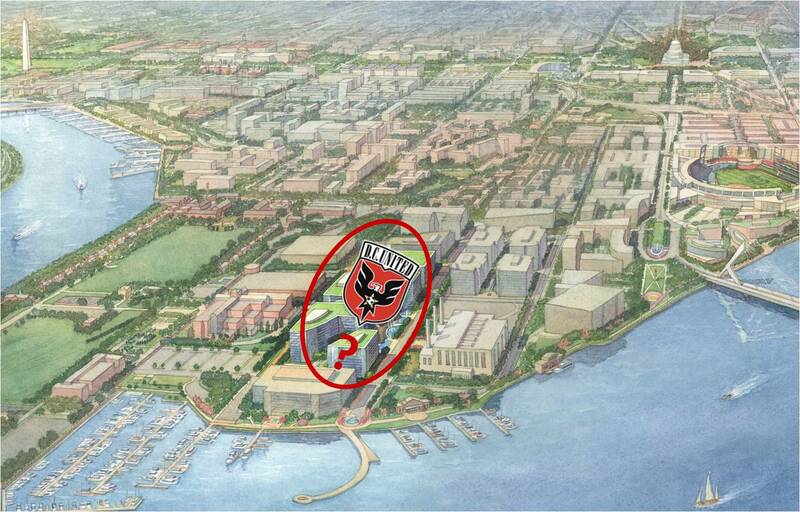 "That two-year extension will then provide adequate time for serious negotiations to commence between the city, Events DC and the team about a new soccer stadium in D.C., and one that meets the needs of the city and one that meets the needs of D.C. United," [Events DC board member William N. Hall] said. Over the past couple of years, the leading site under discussion for a new stadium has been the 9-acre 100 V Street parcel in Buzzard Point owned by Akridge, near a proposed streetcar line. If a new stadium is built there, Potomac Avenue would become a de-facto entertainment corridor connecting Nationals Park and a Buzzard Point soccer stadium. For more on the potential for this corridor, check out my post about it from last year. Whether the Buzzard Point site is still in play remains to be seen. - The Washington Kastles have resigned Venus and Serena Williams to the team roster for the 2012 season. Last summer, the Kastles had a perfect season record in their first year playing at The Wharf and won the World Team Tennis Championship. This season will take place from July 9 - 28, but the game schedule has not been released yet.